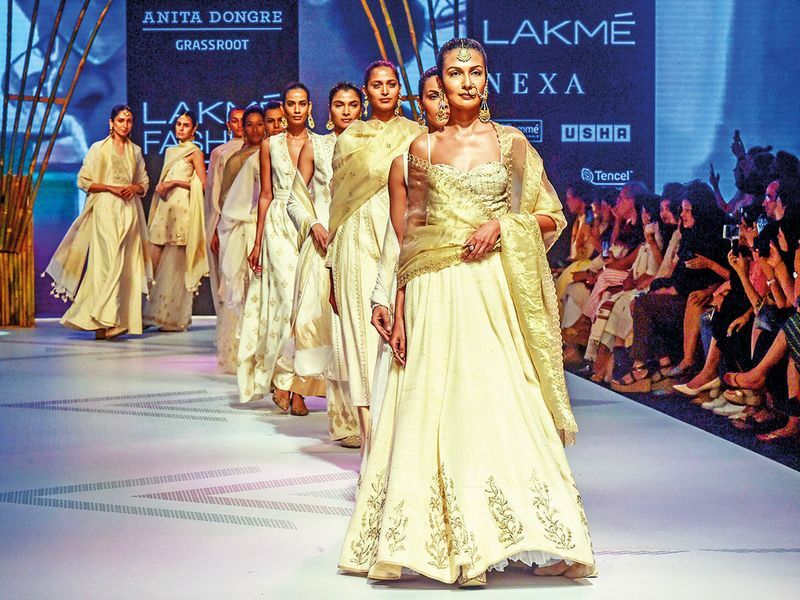 With the lavish and luxurious weddings of the likes of Isha Ambani and Priyanka Chopra getting global attention, Indian fashion is coming into its own, says veteran designer Anita Dongre, who was recently part of the World Economic Forum in Davos. “Davos was interesting. It was interesting to meet like-minded people. The two areas that I’m really working towards is women empowerment and sustainability, and I got to meet a lot of thought leaders from other parts of the world who feel strongly about both these subjects. So it was just an exchange of notes,” Dongre said. “There is definitely an interest today in the Indian fashion scene because I think our Indian weddings are making global news now. So, it [conversation] starts with, ‘Oh my God, what are the weddings you guys do?’. 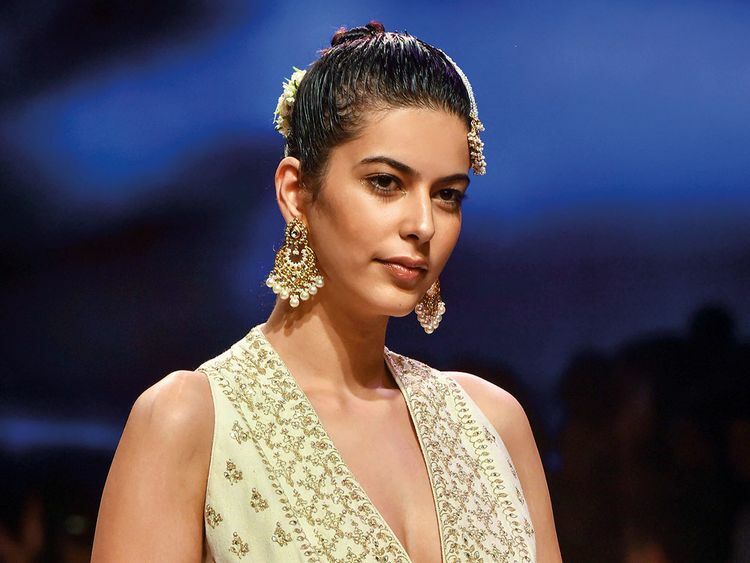 I think Indian fashion is getting its own through Indian weddings,” added the designer on the sidelines of the Lakme Fashion Week summer-resort 2019. At the fashion gala on Thursday, Dongre had two key agendas. The first was to showcase a special capsule collection developed by her brand Anita Dongre Grassroot in collaboration with artisans from northeast India. “It’s a very special region. It’s India’s most sustainable region...The lifestyles by nature are so sustainable there. I really would like that region to stay as pure and unaffected by the rest of the world, and I think the only way that can happen is if they find employment opportunities there. “To sustain their craft becomes a double responsibility because it is so integral to keep that area sustainable,” she said. Her second agenda was to showcase her line A Summer Reverie, made with a biodegradable fabric called Tencel, sourced from Austria. “At the House of Anita Dongre, such collaborations are very important for us today because we are on a sustainable mission. So, it’s important to partner with companies and manufacturers who are producing fibre sustainably,” she said. “I went to Lenzing Group in Lenzing, Austria, met them a few months ago, saw it with my own eyes that they are manufacturing sustainably, and that the fibres they use are from renewable resources, plus they are biodegradable... Hence, the collaboration and collection,” Dongre said. She said there are a lot of sustainable fabrics that are expensive, but Tencel is not. “Which is why I have done a ready-to-wear collection which is very affordable. I think it is accessible. I really want to make sustainable mainstream. With today’s collection, I am hoping to do that,” added the designer, who caters to different markets with her multiple brands. “Sustainable is not first just a process. It is also a lifestyle. Sustainability is the way you live life. It’s as simple as that. Do you turn off the tap while brushing your teeth? Do you take a bath with a bucket and not the shower? How much do you consume? “I think it’s about giving back more to Mother Earth than you take. Consumer awareness is increasing, but more needs to be done. Her own little but significant effort begins from her own office. “We have a pit, we recycle water... And in my design room, nobody can create a design without using 90 per cent of the fabric. Earlier it was 70 per cent, then 80... and now 90. We are setting goals within the team,” she added.